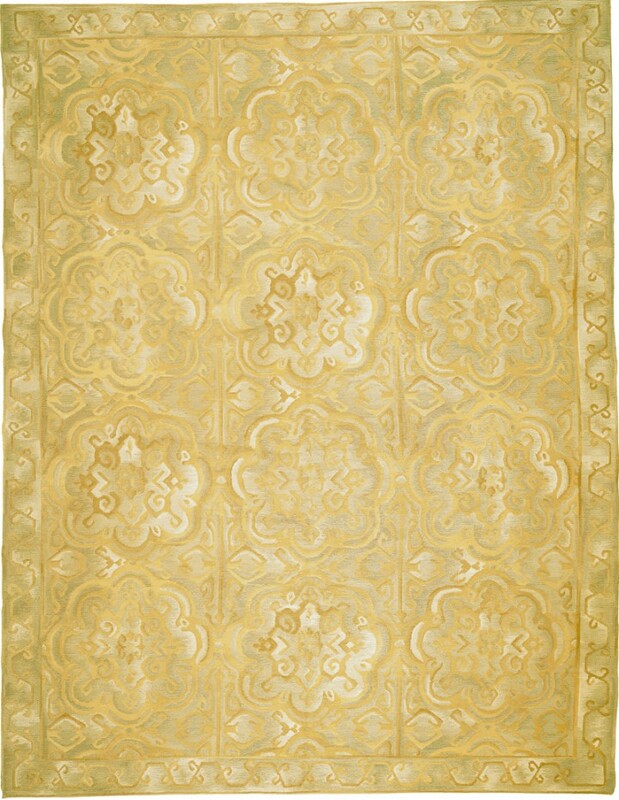 This fine handwoven European rug takes its inspiration from a 14th Century Spanish rug with Italian Renaissance damask influences. Traditional medallions are displayed on a field of lustrous pearl, gold and pewter tones. 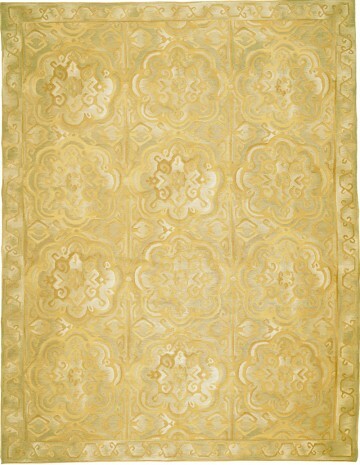 Skilled weavers combined loop weave and French Savonnerie pile weave techniques to create a distinctive, sculptured look in this cut & loop pile rug. Use of a complex yarn, which intertwines yarn strands of varying shades, creates unique texture and color variations reminiscent of rare antique rugs.